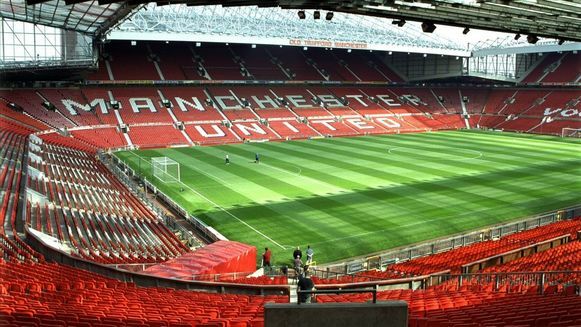 Marcos Rojo, Antonio Valencia, Alexis Sánchez, Marouane Fellaini, Diogo Dalot and Phil Jones ruled out. Jesse Lingard and Scott McTominay doubtful. James McCarthy, Beni Baningime and Yerry Mina doubtful. 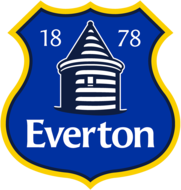 Everton Football Club (nicknamed The Toffees and The Blues) are a professional football club based in Liverpool, England. Everton were founded as St Domingo FC in 1878 so that members of the congregation of St Domingo Methodist New Connexion Chapel in Breckfield Road North, Everton could play sport year round – cricket was played in summer. The club's first game was a 1–0 victory over Everton Church Club. The club was renamed Everton in November 1879 after the local area, as people outside the congregation wished to participate. The club was a founding member of the Football League in 1888–89 and won their first League Championship title in the 1890–91 season. Everton won the FA Cup for the first time in 1906 and the League Championship again in 1914–15. The outbreak of the First World War in 1914 interrupted the football programme while Everton were champions, which was something that would again occur in 1939. It was not until 1927 that Everton's first sustained period of success began. In 1925 the club signed Dixie Dean from Tranmere Rovers. In 1927–28, Dean set the record for top-flight league goals in a single season with 60 goals in 39 league games, which is a record that still stands. He helped Everton win their third League Championship that season. Everton's second successful era started when Harry Catterick was made manager in 1961. In 1962–63, his second season in charge, Everton won the League Championship. In 1966 the club won the FA Cup with a 3–2 win over Sheffield Wednesday. Everton again reached the final in 1968, but this time were unable to overcome West Bromwich Albion at Wembley. Two seasons later in 1969–70, Everton won the League Championship, finishing nine points clear of nearest rivals Leeds United. During this period, Everton were the first English club to achieve five consecutive years in European competitions – covering the seasons from 1961–62 to 1966–67. Howard Kendall took over as manager and guided Everton to their most successful era. Domestically, Everton won the FA Cup in 1984 and two League Championships in 1984–85 and 1986–87. In Europe, the club won its first, and so far only, European trophy by securing the European Cup Winners' Cup in 1985. All in all, Everton have won 15 major trophies: the League Championship nine times (fourth most as of 2017–18), the FA Cup five times (ninth most) and the UEFA Cup Winners Cup once. The club have also competed in the top division for a record 114 seasons, missing the top division only four times (1930–31 and three consecutive seasons starting with 1951–52). Everton have play their homes games at Goodison Park since 1892, after moving from Anfield following a row over its rent. Their biggest rivals are neighbors Liverpool, against whom they contest the Merseryside Derby. I hope we lose. Get Mourinho out. Can't wait for a piss poor first half before waking up late in the second. Mourinho is bad for United. No Mourinho is good for United. Follow that train of thought and it makes sense. Who knows what to expect from this Manchester Utd team. I honestly have no idea what to expect. My heart says we will nick a win my brain says 2 2. We don't have any other RB options so it'll be the same back 4 and I imagine Alexis and Lingard wont be involved but maybe we'll freshen up the midfield. I don't mind people wanting a new manager though I disagree. But the animosity on the Caf is starting to become pretty boring. Expect a good performance. 3-1 United. We'll go 2-0 behind then score some late goals and everyone will go crazy and hail it as a heroic performance. MY FIRST MATCH AT OT!!!! Flying in from NYC for my 28th birthday, so excited. Wow! Have a fantastic time. We'll drop points imo. Going to be a tough watch. Have a great day but you're being slightly optimistic expecting 5 goals. We've never scored 5 in the PL since the great man SAF retired. Seems to be the only times we react these days, yeah. Going a goal down. Expect a comfortable 2-0 victory to us. Yeah. Expecting a draw. Our home record is abysmal. Teams know our plan, or lack of, and come to OT knowing they can win if they press us. At this point I think Jose is the manager while we get through this tough group of matches. Damage control for whomever takes over. Could see the plug pulled post City. Would not be surprised if he lasted the maths of no top 4. Expecting starts for Fred, Sanchez and Dalot. Easy win for us 3-0. So, we can't operate from a place of fear but this is a must win. Yes, I know we are a big team and should be trying to win all games AND winning most of them. But, that's not the reality of our current situation. This is a better test/gauge than Juventus. The performance at SB against Chelsea made us hope against Juventus. We lost which wouldn't have been a shock to anyone a week ago. This match and Bournemouth will indicate if we are actually improving or just showing flashes. Don’t know what to expect this Sunday. 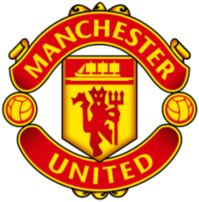 Going for 2-0 Man Utd to win but that is more in hope than expectation. Fully expect Everton to score first, we equalise. Full time. I expect the ultimate everton GMC performance when they play against us. Everton have nothing to lose whereas it is a must win for us. Not the best situation psychologically. I'd do Herrera for Rashford, but keep the other 10. The lack of a holding midfielder is really painful for constructing where a team where Pogba doesn't have to come deep to get the ball. An extra midfielder should give us some more legs in midfield for shuttling runs, the full backs provide the width and can use Pogba and Herrera for overlaps. One thing I think we should give consideration to is playing some of our busier central midfielders as wide players. Other sides do it, so why don't we? 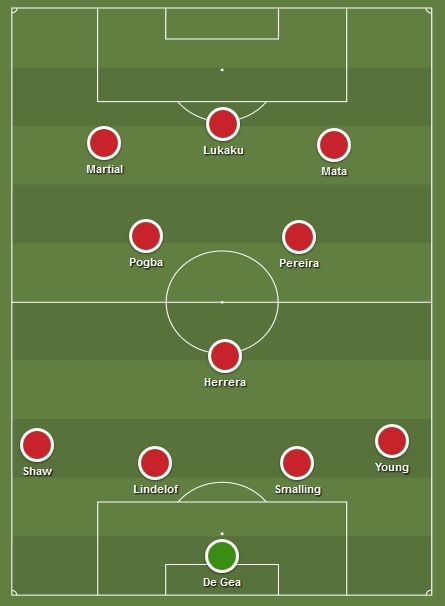 Pogba has everything you need to play as a wide midfielder and I think Herrera could too. We've got plenty of other central midfielders otherwise stuck on the bench and with a lack of orthodox wingers, it could be a decent fix. Same team that played Juve. Feck subs and feck squad rotation. Sanchez instead of Perreira if he's fit. Drop Lukaku and Matic for this one.